Heartburn can be helped with by using certain pure essential oils, but it must be seen as an alternative therapy for assisting with heartburn, and not to replace any medical treatment or medication. 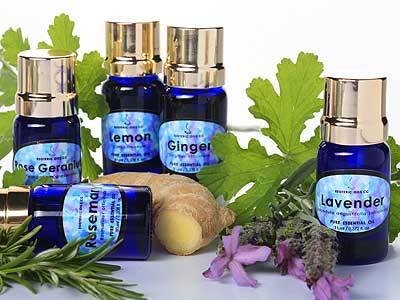 Essential oils can be used as an alternative treatment for a variety of problems - and if looking for a specific problem area please use our search page to find relevant information. What can I do about heartburn? Heartburn is a burning pain in the chest, which radiates upwards into the neck and throat and sometimes the face. It usually occurs after a meal when the stomach acids reflux up past the sphincter. If muscle tone in the sphincter is lost and it remains open when it should be closed, the result is acid reflux and the painful sensation of heartburn. diluted in 5ml (1 teaspoon) Grape seed oil. If you have any medical conditions contact your licensed medical practitioner. The remedies above are for information proposes only, and should not be taken or construed as medical advice.